Egypt has been building up its petrochemical capacity for some time and the most recent move to realize these new capacities was made during this past week as per ChemOrbis. According to media reports, General Electric Co (GE) and Egypt’s Carbon Holdings signed a technology cooperation agreement on November 18 in order to provide support for the Ain Sokhna-located naphtha cracker and olefins complex project of Tahrir Petrochemicals. The project is said to be worth 500 million dollars and GE will provide equity financing and advanced technologies for the new complex. The plant will have 1.36 mil tons/year of ethylene and polyethylene capacity and it will be the world’s largest naphtha liquid cracker when completed. Apart from ethylene and polyethylene, the complex will be able to produce significant amounts of benzene, butadiene and linear alpha olefins. The date for the construction work is to be determined later. Apart from this, the Egyptian Indian Polyester Company, S.A.E (EIPET), is planning to bring online a brand new PET plant located in Ain Sokhna, Egypt. EIPET’s plant consists of two lines, each of which will have a capacity of 210,000 tons/year. Output from the plant was said to be directed to North America, North Africa and Europe. The producer was initially planning to start commercial runs at their new PET plant at the beginning of the fourth quarter of 2013. Last week it was reported that they have delayed their startup date to December as they were still conducting tests runs. In the PS market, the new PS producer E-Styrenics has been delivering off-grade GPPS to the market for some time after starting up their new plant this past summer, while they were reported to be undergoing tests runs for HIPS production. The 200,000 tons/year PS plant received a technology license from Ineos and will procure styrene from the Middle East and Northwest Europe. 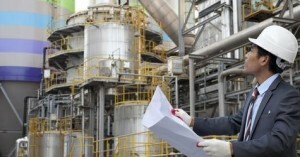 E-styrenics was initially planning to build a 300,000 tons/year ethyl-benzene and styrene plant at the same complex, but later cancelled its plans due to the political unrest in Egypt. According to ChemOrbis, this past week, market talk had it that the producer had reached prime quality production at their GPPS line. A trader commented, “General PS offers are mostly unchanged in the local market while trading activities showed some signs of improvement. E-Styrenics’ off-grade materials are short in the market and this situation caused demand to improve for prime materials.” However, the producer had not confirmed this information by the time of publishing.